Most visitors to Corinth stop at the small, but significant, museum located on the site. 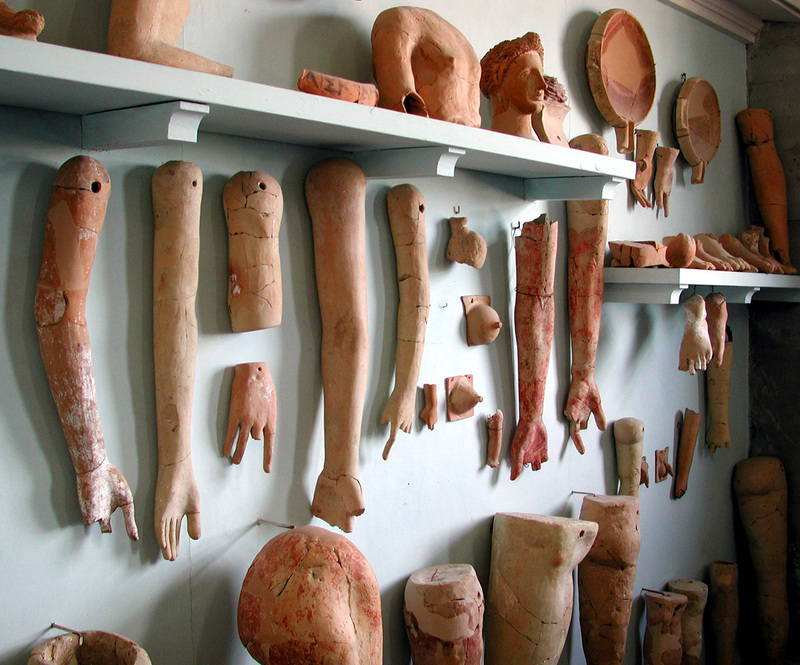 There they have assemble a large number of terra cotta body parts that were dedicated by persons who had visited the Asclepion at Corinth—but usually groups to not visit the actual site of the Temple of Asclepius. 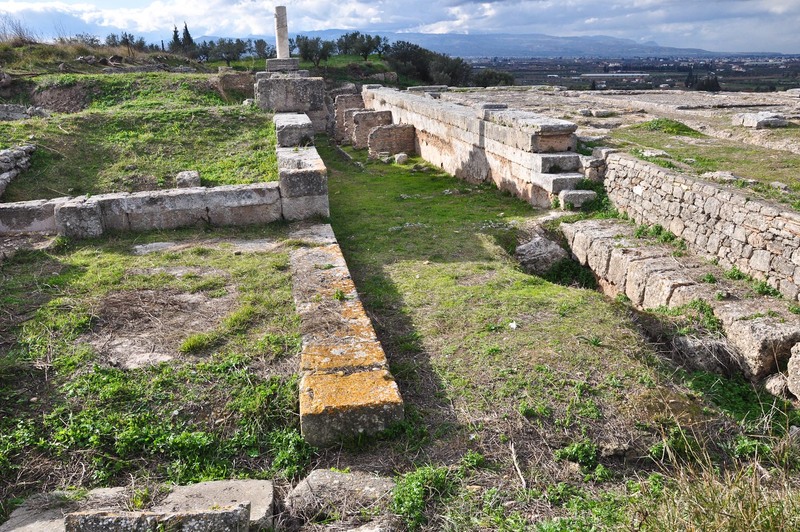 The Asclepion is a place where people came to be healed of their diseases and the complex included temples, dining rooms, bathing facilities, dormitories, and other structures. Asklepios was actually a deified Greek physician and the symbol of Asklepios is an entwined snake (the same as the modern medical symbol). To view additional images of the Asclepion at Corinth Click Here. This entry was posted in Places in Greece, Temple and tagged Asclepion, Asclepius, Corinth, Temple. Bookmark the permalink.